This is a Life&Dive ProDiver interview. These interviews are given to dive professionals from all around the world to provide you with an idea of their lives, job situations and opinions about the diving industry. Both provided by the club resort. As a divemaster I guided dives and gave pool introductions, and as a marine biologist I gave a weekly evening presentation at the main bar and served as marine biological snorkelling guide. Additionally, we had to cook for the guests once a week (live cooking), as the dive centre was located in a club resort – “Club Med” style. The boat dives were conducted from top of the line, modern and fast diving dhonis, while the snorkelling spots were reached by traditional dhonis. Of course the guests were also guided around the beautiful house reef. There was a doctor from the Philippines on staff that I never needed. The next deco-chamber was in Gan all the way to the south and for everything else one would have to go to capital, Malé. Even there however, you will have a difficult time finding qualified doctors, but at least it is affordable. Girls, be warned, it’s an Islamic country and gynaecologists help you to get pregnant but don’t care about other problems you might have. Sad but true. Only necessary, if your employer doesn’t manage to get your work permit in time. Then usually to Sri Lanka – “fly-in, fly-out” style. Employees were provided with simple but tidy rooms with AC and their own showers. The rooms where situated in the staff village in the centre of the island, where guests were not allowed. The biggest disappointment of the job was the lack of life, there was none. Living in a club hotel is already something not everybody can deal with; being the paid friend of your guests. But doing this on a tiny island where you simply cannot escape the situation, apart of staying in the tiny staff village, renders this task nearly impossible. Even during your free day, you had to be available to the guests when you decided to stay in the guest area. The only other option was to stay in the staff village, which eventually started to feel like a prison in paradise. But of course it was not all bad. The salary was really good and if I had been instructor already, it would have been even higher. The Maldives are a great place to make good money. And if you can offer the “marine biologist/dive instructor” combination and speak a couple of languages at the same time – well, then it’s time for pay-day. Being the official marine biologist of the island also provided a really high social standing. The management as well as guests ask for your advice, opinion and have loads of questions about all those little critters that swarm the surrounding ocean. So that felt pretty cool. Because my time on the island was short, only 3 and a half months, I cannot say whether the job as marine biologist would have gone beyond the state of evening presentations and guiding snorkellers. To make me stay longer, I would have wanted to get a chance on a scientific project and not just being the scientific clown of the guests. Ultimately, I left because of the life restrictions due to the club concept and my girlfriend that had stayed home. Especially because of my girlfriend, I recommend anyone to work in such an environment, only if your partner comes along. Nevertheless, the time spend on the island paid of as I managed to take enough pictures (~4.500) to publish a dive guide about Huvadhoo Atoll. 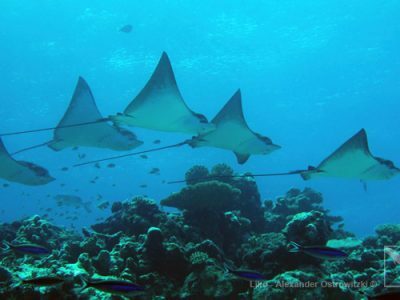 Be a part of the party: Green Fins in Baa Atoll! We are a family of four from Israel (2 girls age 9+6), we are looking for a budget accommodation for relatively long period of a month or two or more, from August/September. 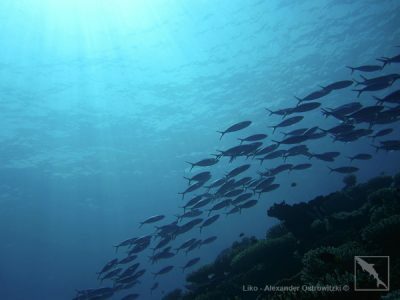 We are looking for a pristine coral reef destination with an option to be proactive in sustainable development. I’m a marine biologist, specializing in coral reef fish reproduction and ecology and an experienced dive master with an international skipper license. I am the founder of Captive Bred company in Israel- e-site: http://www.captivebred-marine.com. An article I wrote about our work: http://peacekeepermaroon.com/2015/12/12/captive-bred-ltd-growing-values/. My wife is a very talented and experienced, self employed graphic designer with her own business. 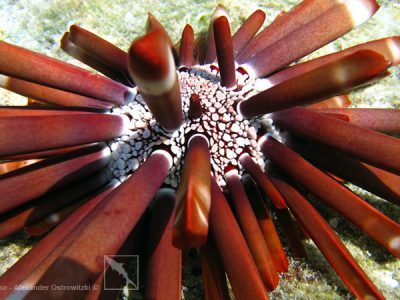 We have experience diving at remote coral reef and other destinations, such as: Fiji, Zanzibar, Maldives, Egyptian Red Sea, New Zealand, Mediterranean. We had taken a break from our usual life in Israel to travel and to be together. 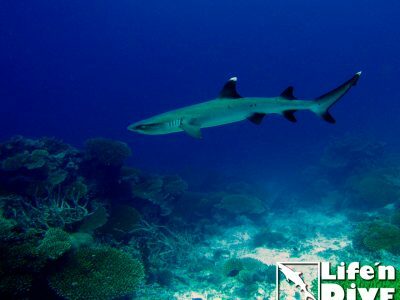 We are looking for an accommodation with a work option for me in diving or coral reef biology and ecology (I can construct a Marine biology and ecology course combining theoretical and field approach to be taught as value material in the resort or diving club / can assist with sustainable development ecological issues arising). My wife is able to assist in her field of work to improve designs, e-site, advertisement material etc… I’m reaching to you to examine if there is an option like that available at your place. this is a very interesting offer you make there. I’ve forarded it to my bosses, the owners of http://www.rajaampatbiodiversity.com, Rey and Patricia. I believe they will come back to you, if they see options for you guys.